Situated in the Xicheng District of Beijing, next to the Beijing Exhibition Center, Beijing Zoo is not only the largest zoological park in China, but also the earliest zoo open to the public. It was once an imperial private garden of Fukangan (a kinsman of the emperor, who went for battles everywhere for the emperor and liked keep and raise rare animals in his garden) in Qing Dynasty, named “Sanbeizi Garden”. And then in 1906, the garden, along with Guangshan Temple Site and Huian Temple Site, was developed to be an Experimental Farm, which is the predecessor of Beijing Zoo. 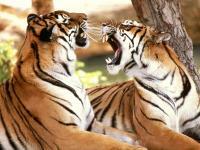 In 1955, it was officially named Beijing Zoo. 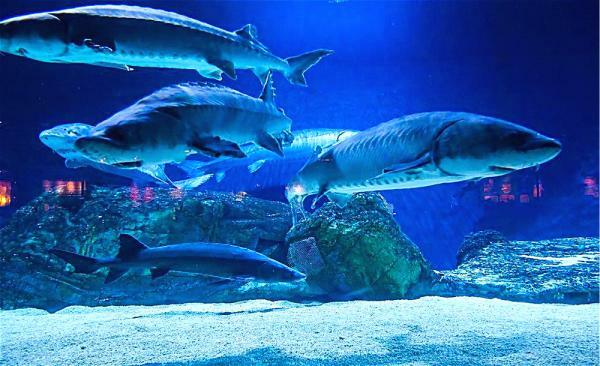 Nowadays, with an area of approximately 90 hectares (222 acres), including 8.6 hectares (21 acres) of aquarium, Beijing Zoo is home to about 5000 land animals of 500 different species and more than 10000 marine animals of 500 different species, receiving over 6 million visitors from home and abroad annually, and providing a great opportunity to witness and learn more about the lives of various animals that inhabit the world alongside us at firsthand. 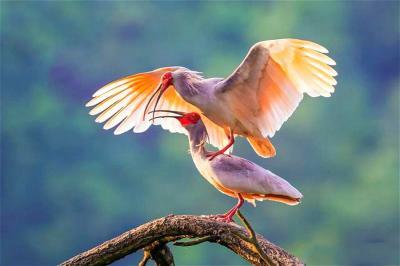 Beijing Zoo is well-known for its collection of rare animals endemic to China. 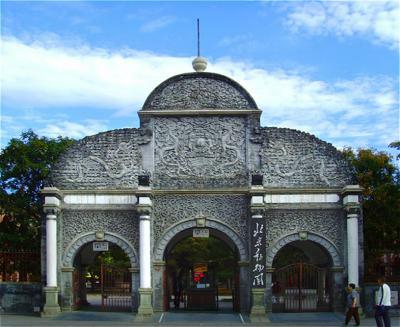 It houses 16 large animal exhibition halls located in the east, west and north district separately, including Giant Panda House, Crested ibis Hall, Elephant Hall, Monkey Hill, Lion & Tiger Hill, Bear Hill, Nocturnal Animal House, Medium-sized Beats Zone, Gorilla Hall, Amphibians and Reptiles Hall, Otter House, Pheasants and Brood Chamber House, etc. 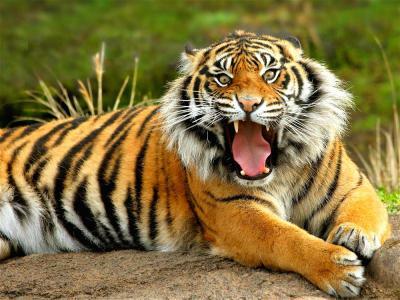 In Beijing Zoo, you will have a good chance to take a closer look at a diverse of endangered species, such as Tibetan gazelle, Siberian tiger, Przewalski's horse, yak, and rare animals endemic to China like South China Tiger, golden snub-nosed monkey, white-lipped deer, Chinese Giant Salamander, and also Giant Pandas, which are the most popular animals in the zoo. 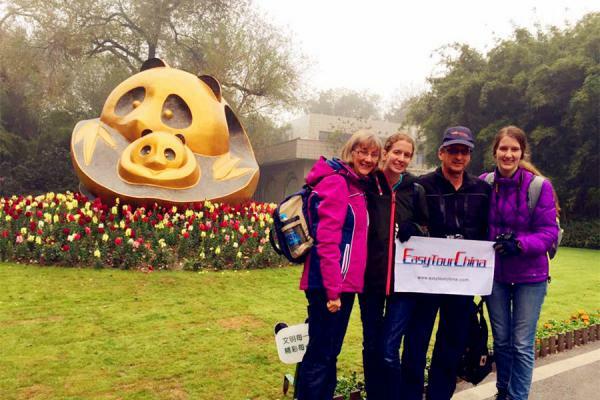 For the family travelers looking for a panda tour in China, Beijing Zoo is highly recommended, if you are not able to join the panda volunteer program in Chengdu, which is definitely the best choice to make up for regret. Besides the rare animals endemic to China, the collection also covers many rare animals and wildlife out there in the world, from the polar bears to American bison, African elephants, zebras, kangaroos and so many others. 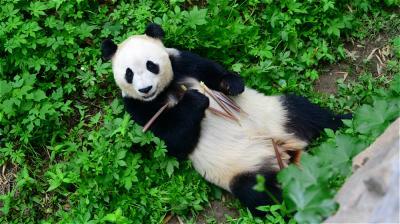 Beijing Zoo is a veritable zoological research and conservation center in China that studies and breeds rare animals from various continents. 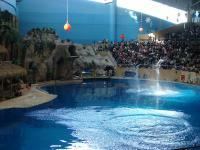 What is worth mentioning is that the Beijing Aquarium is another highlight of Beijing Zoo. 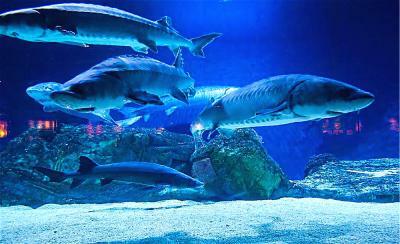 Opened in 1999, it is recognized as the biggest aquarium in China. It is home to a wide range of fish species - piranhas, frantic arapaima, precious Chinese sturgeons, California sea lions, white whale, huge sea elephants, etc. What's more, in the Aquarium's Ocean Theater, visitors can enjoy wonderful shows performed by the dolphins, sea lions and whales. 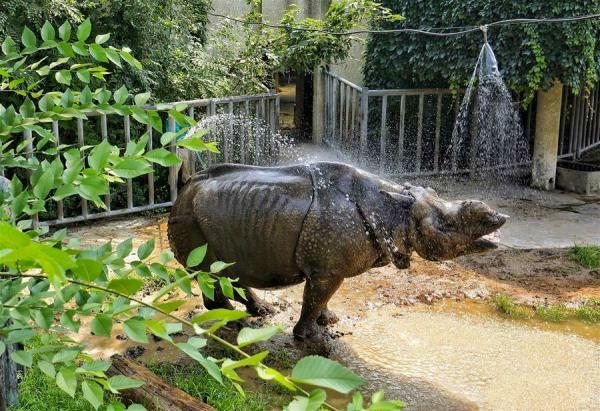 The value of Beijing Zoo is not only a paradise for animals, a good place for animal lovers, but also a classic site for those who love historical artifacts. It was elegantly constructed like a classical Chinese garden with pavilions, towers and lotus ponds set amidst natural scenery of grasslands, trees and hills. 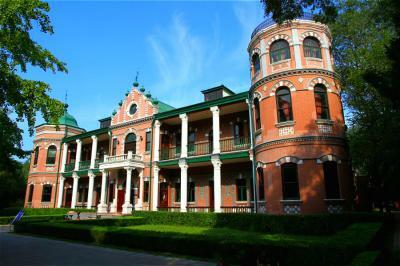 You will find many landmarks here, such as the Memorial Tower of Song jiaoren, Lemarck Hall, Changguanlou and so on. 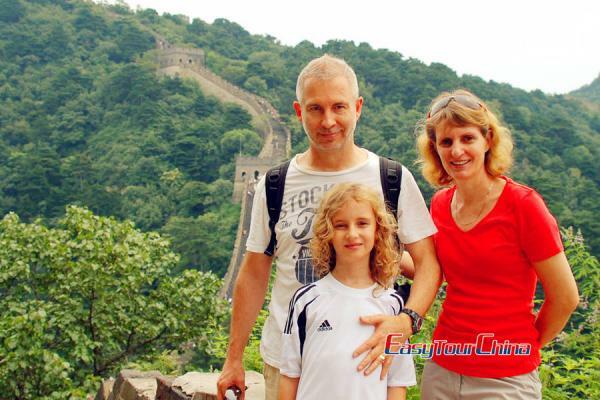 So, in addition to animals, Beijing zoo also provides visitors a sightseeing tour of some history sites and ancient Chinese architectures built in the Qing Dynasty. 1. 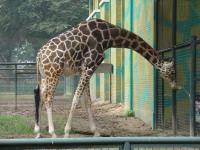 Free admission for children under 6 years old (including 6 years old), children under 3.9 feet (1.2 meters). 3. Half-price admission for the elderly with senior citizen card. 4. Half-price admission for children between 6 years old (not including 6 years old) to 18 years old (including 18 years old), Chinese students with bachelor degree or below, and foreign students (not including postgraduates, those at adult education colleges and spare-time colleges) with valid documentation. 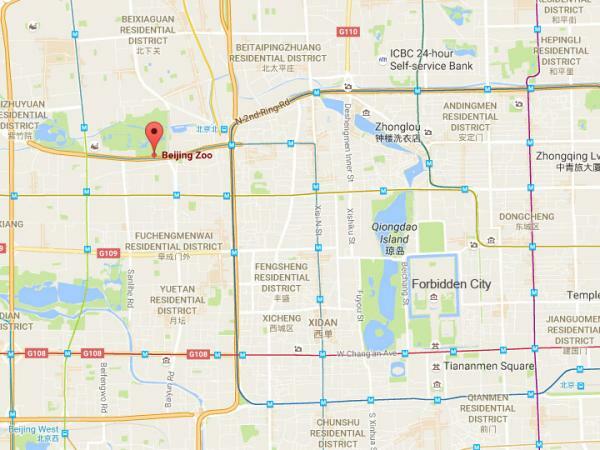 Take Subway Line 4 and get off at Dongwuyuan Station (Beijing Zoo Station). 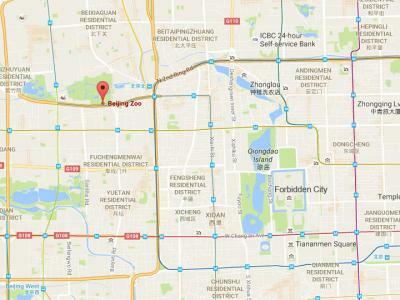 Take bus 7, 15, 19, 27, 45, 65, 102, 105, 107, 111, 347, 360, 534, 563, 632 or 714 and get off at Dongwuyuan Station (Beijing Zoo Station). 2. 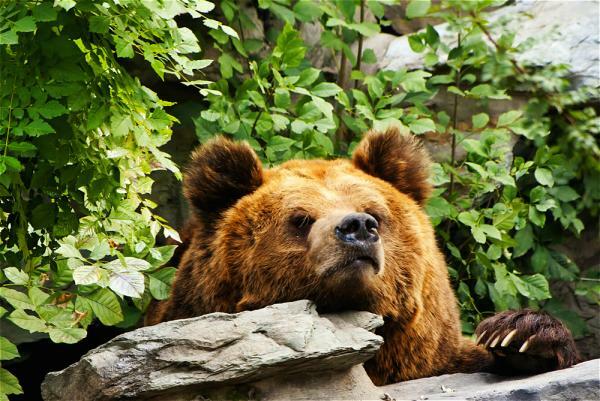 If you visit Beijing Zoo in winter, you will not have the chance to see some hibernating animals. 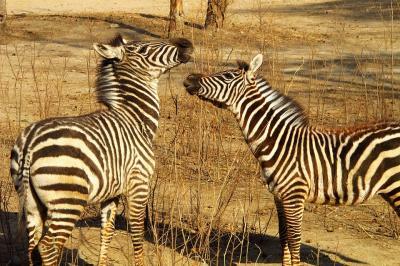 So, spring and autumn is the recommended season to pay a visit, and the animals are more active during these periods. 3. 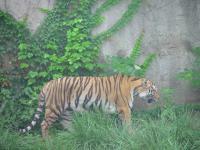 You should wear comfortable shoes for long walks in the zoo. 4. Various popular science lectures will be held frequently in the science museum, so it is a good chance for children to learn more about different kinds of animals. 5. 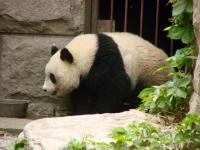 Beijing Zoo is very suitable for taking a leisurely walk and parent-child activities. Besides, there is a "Huguosi Snacks" (a Peking's time-honored brand) shop here, so you can enjoy delicious food while visiting the zoo.